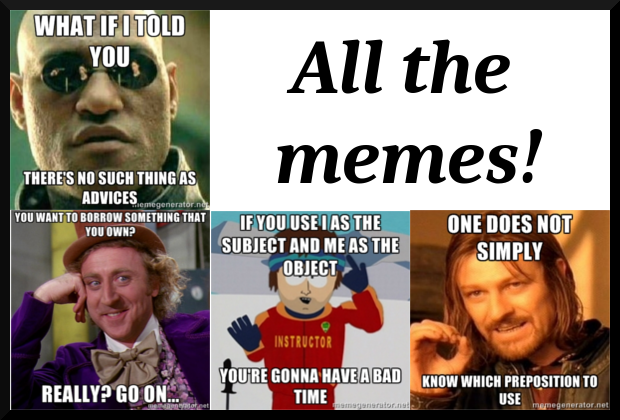 Erinnern auf Englisch - do you remember how to use it or should I remind you? I remember me. Do you remember me? In English, the verb REMEMBER is not reflexive. We just say things like "He remembered my birthday" or "I didn't remember his birthday." 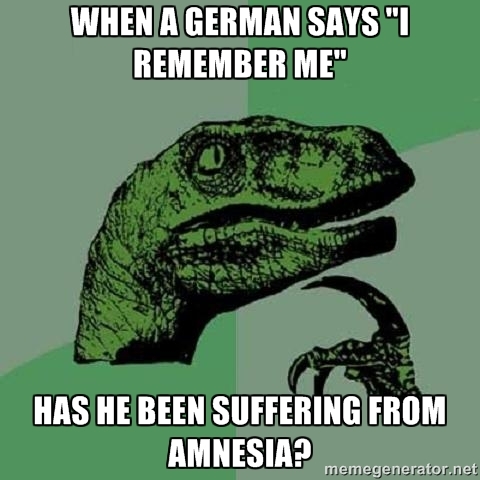 That means, if you used the phrase "I remember me..." It would mean that you are remembering yourself. Like if you had forgotten that you exist, and then the memory came back. I didn't remember my mom's birthday. Oops! Do you remember the time that you threw up on the train? That was hilarious! And don't forget about REMIND! When someone else says or does something and it causes the memory to come back into your brain, we use the word remind. Can you remind me to call my dad tomorrow? I don't want to forget! Want more English learning tips made for Germans?